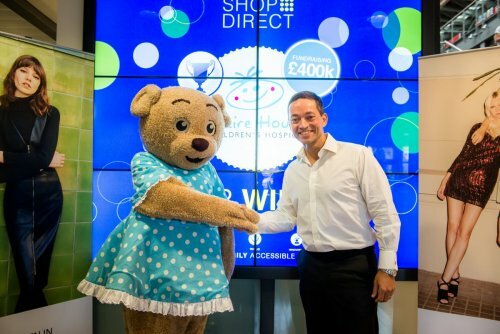 Claire House Children’s Hospice couldn’t exist without our corporate partners – the companies whose donations help us provide the best possible care to the children and young people who need it most. Companies like Liverpool Echo, Cammell Lairds, Unilever and United Utilities have all worked with Claire House over the years. 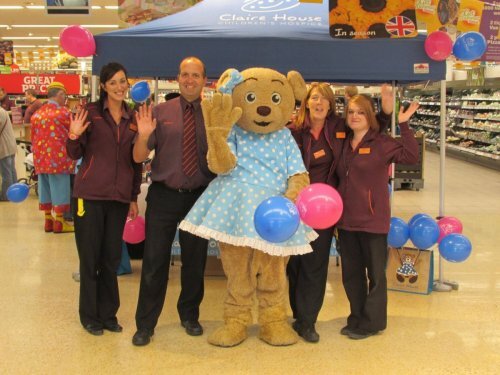 You could choose us to be your Charity of the Year and get the benefit of Claire House’s expertise and experience when it comes to organising your charity events. You could sponsor an event such as The Claire House Splash Dash. Or you could join our 500 Club, helping us plan ahead by committing to give a small amount each year. Whether you’re a huge organisation or a sole trader, our experienced fundraisers will work with you to find the scheme that suits you best. Companies who make Claire House Children’s Hospice their Charity of the Year enjoy a number of benefits – as well as improving the lives of children and young people who are seriously and terminally ill.
Claire House will support you and keep you up to date with all our latest fundraising initiatives – it’s up to you which ones you choose to get involved with. If you want to arrange your own event, such as a golf day or charity ball, our experienced fundraisers can help you with planning an event to make sure it runs smoothly and effectively, which will also help to protect the reputation of your brand. A member of our dedicated team will happily come and speak to you about the opportunities that are available. Simply fill out our enquiry form or call 0151 343 0883 for more information. Boost morale and raise money for a good cause! You and your team can get huge benefits from volunteering for Claire House. We get the extra help and your company benefits by having staff who return to work boosted in the knowledge they have helped their local children’s hospice. Talk to us about our corporate volunteering opportunities by filling out our enquiry form or calling our team on 0151 343 0883. An easy and tax efficient way to give. Make monthly donations to Claire House Children’s Hospice and make a huge difference to all the children and families whose lives we are working to change – not only by helping fund the hospice but allowing us to plan for the future. Staff can donate a figure of their own choosing each month and it comes out directly from their pay. To talk ot us about Payroll Giving, fill out our enquiry form or call 0151 343 0883. Helping Claire House Children’s Hospice is not just a good idea for the hundreds of children we care for each year – it’s a good idea for your business too. 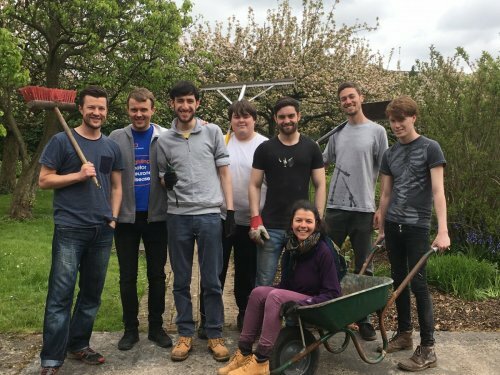 Giving to a worthwhile cause lifts morale and research indicates that UK workers are more likely to stay with companies who allow them to donate time or raise money for charities during working hours. 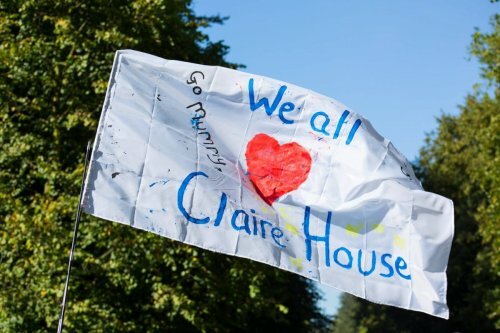 Supporting Claire House can also help your company fulfil its Corporate Social Responsibility objectives and works wonders for your PR by putting your company in the news for all the right reasons. We’d love to tell you about the benefits to your business. Just fill out our enquiry form and we’ll be in touch.